« We made Mona Lisa smile! 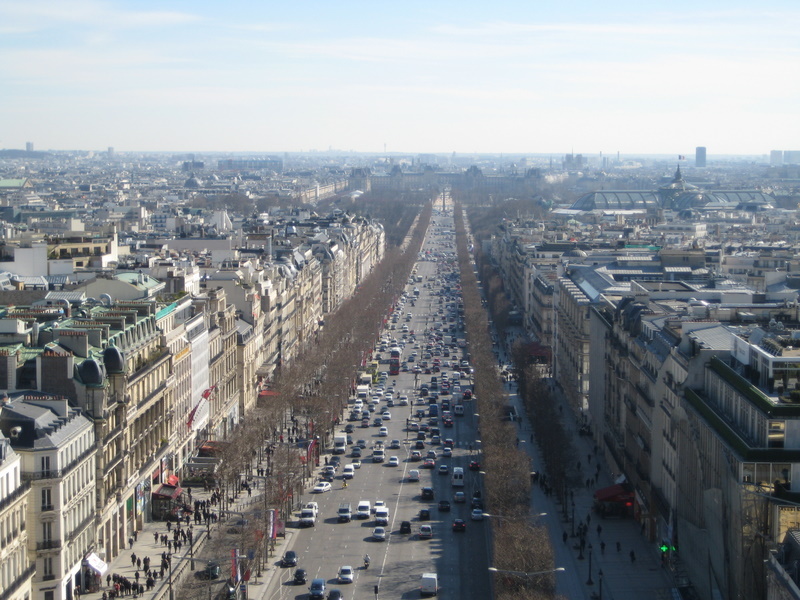 Thursday, after visiting the Louvre, we took a walk down the Champs-Élysées. Since I am a big Tour de France fan, it was really great to see the site of the final day of racing. 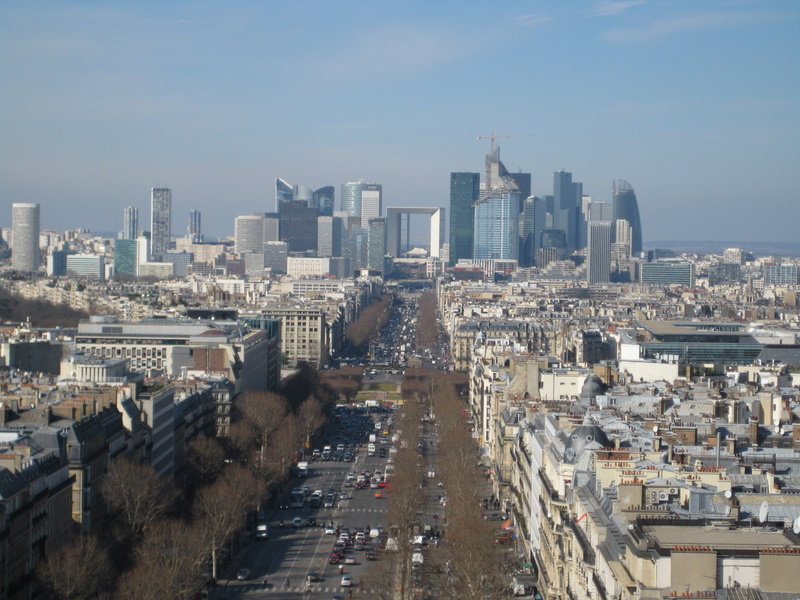 The cobblestone avenue, with the Arc de Triomphe at the top of its slight hill, is just beautiful! 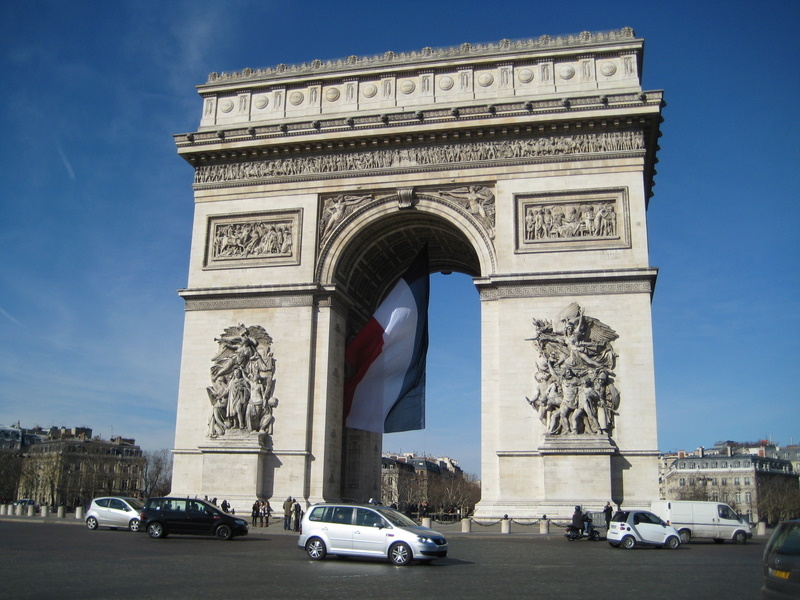 We walked to the Arc de Triomphe and had lunch at a nearby restaurant. 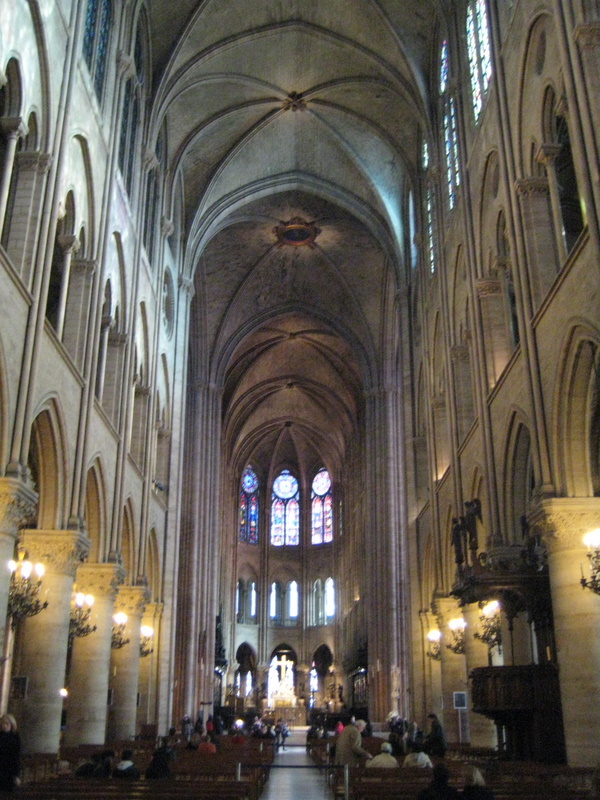 We took the metro to visit the Notre Dame Cathedral and then we decided to do something a little different – we visited the catacombs of Paris. The pictures below tell the story! 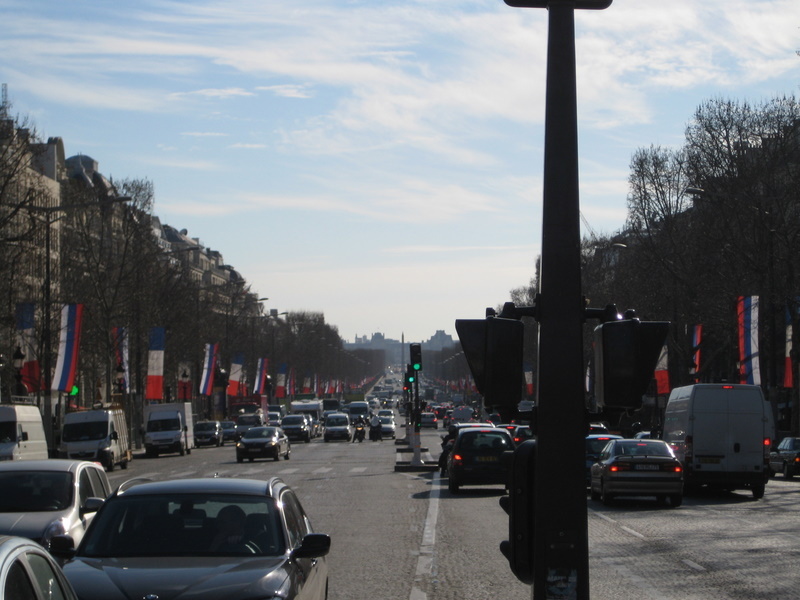 So I stopped at a traffic pole and took pictures in each direction on the Champs-Élysées. 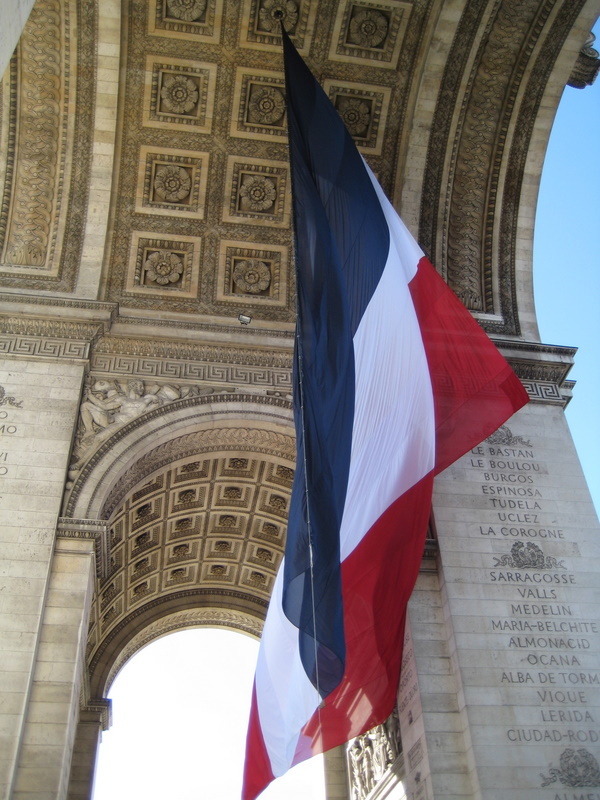 Note the French flags lining the street. 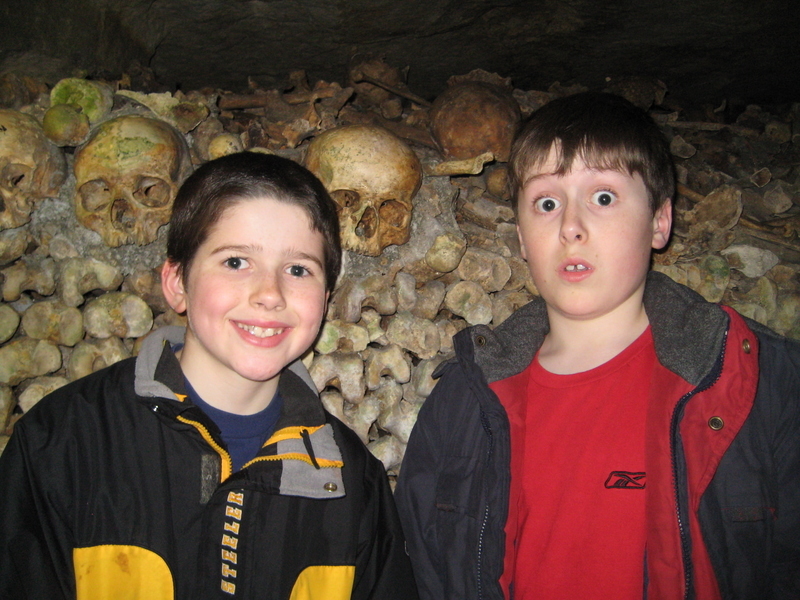 After visiting Notre Dame, we took the metro to the Paris Catacombs. 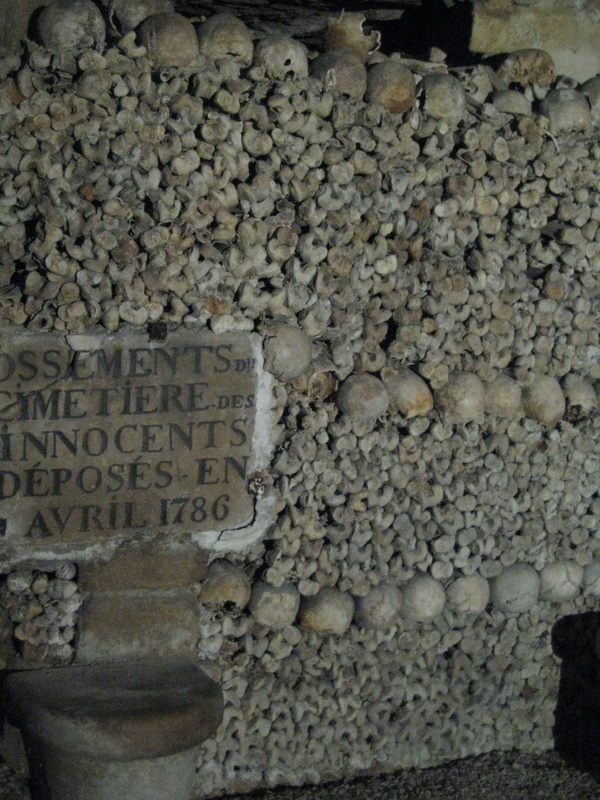 The catacombs were created at the end of the 18th century when Paris’ largest cemetary was closed for health reasons. Eventually, it was decided to exhume all of the graves in the cemetary and place the bones in the catacombs. 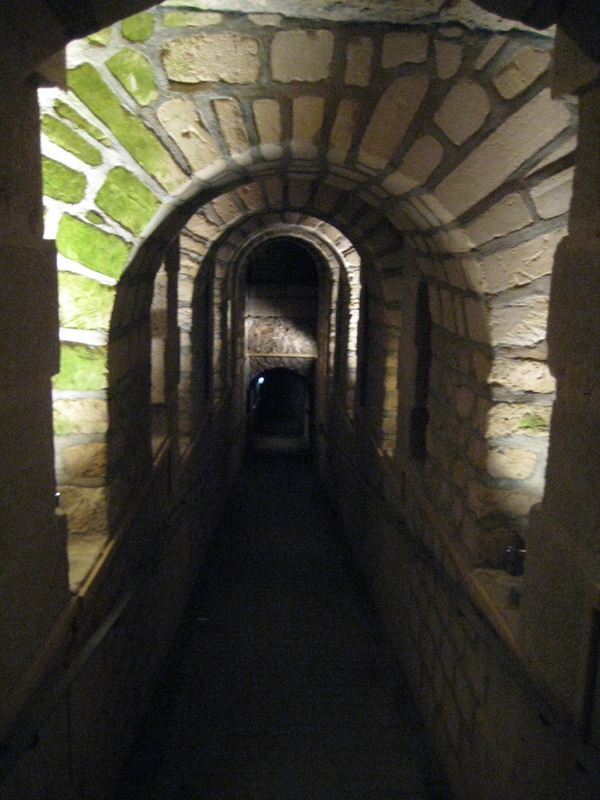 The catacombs were used to store human remains until about 1860. 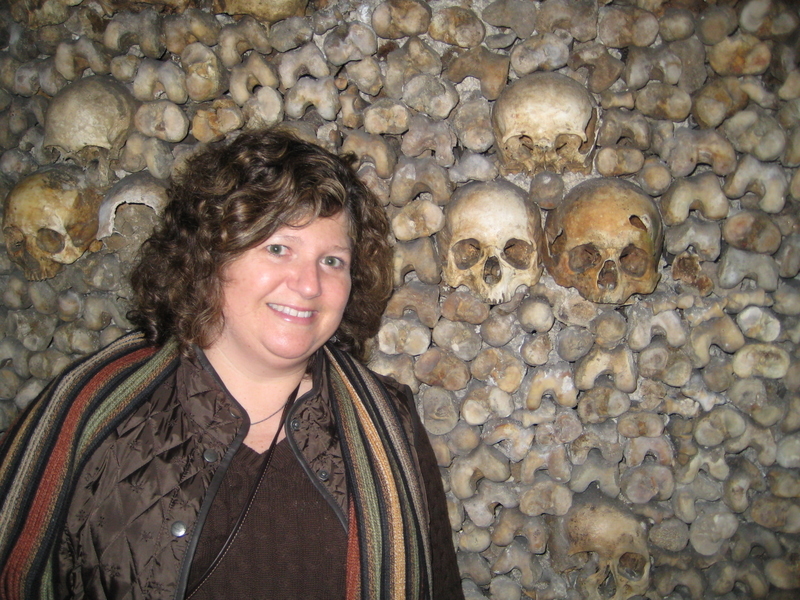 It was really unbelievable to see all of the neatly stacked skulls and bones. Going down the 150 steps and then through the dimly lit underground corridors to the catacombs was very creepy. It felt like we were in an episode of Scooby Doo. 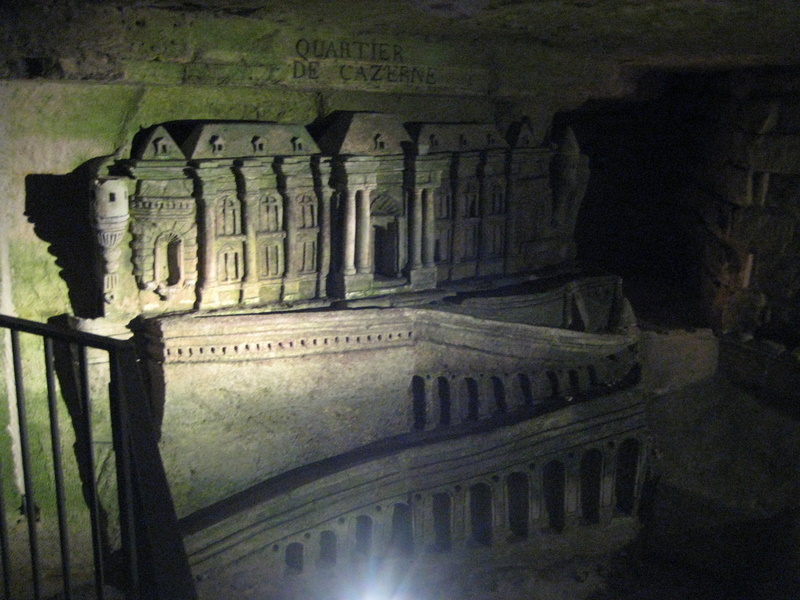 An underground sculpture near the entrance to the catacombs. 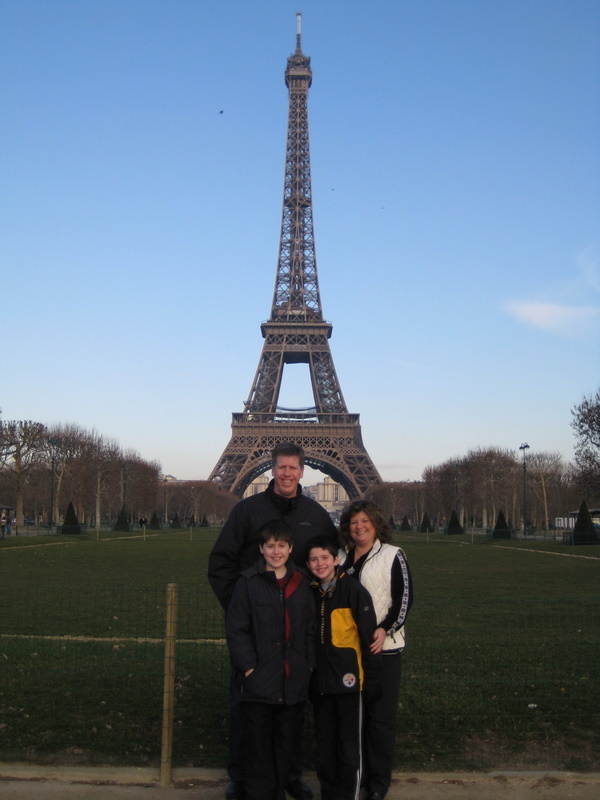 Friday morning, after being haunted all night by the ghosts of the catacombs, we took one final picture in front of the Eiffel Tower before returning to our home in Florence! This entry was posted on March 7, 2010 at 7:17 am and is filed under Karl's Blogs. You can follow any responses to this entry through the RSS 2.0 feed. You can leave a response, or trackback from your own site. Hi, Einolfs! My parents told me about your Florence blog. I’ll be studynig abroad in Florence myself this Fall – I’m loving reading your entries and finding out the lifestyle and tips for living there. 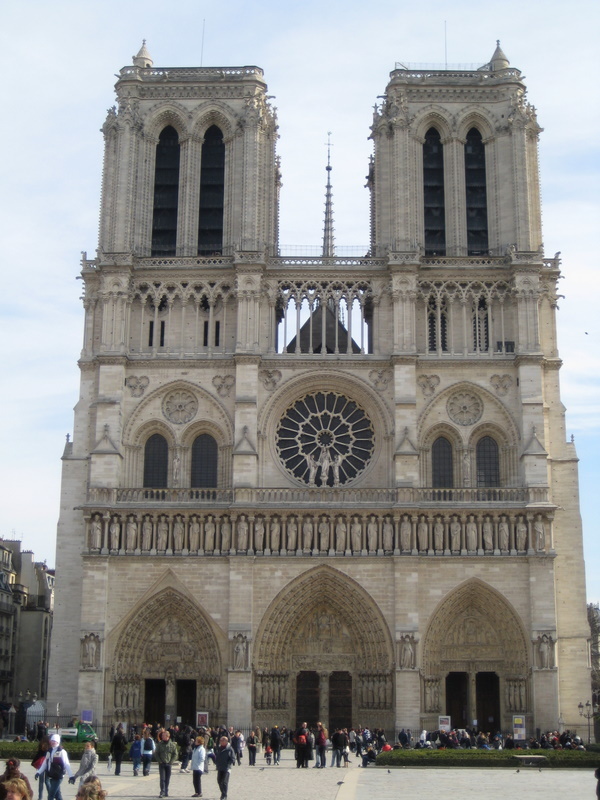 Funny enough, I did study for two weeks in Paris this summer as well! It’s interesting reading about having similar experiences at the same stop, haha. I think that the top of the Arc de Triomphe is the best view of Paris in Paris… but, sitting on the steps of Sacre-Couerand watching the people walking and talking, the performers on the streets, the view of the city below framed by trees and the stunning blue sky… it has the most atmosphere. 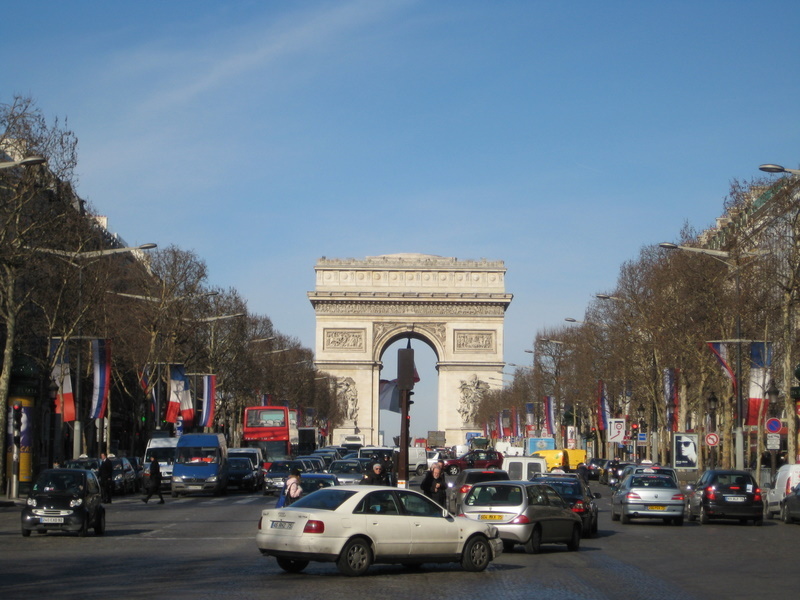 Champs-Elysees can be dangerous with its designer stores and haute couture pastry shops. 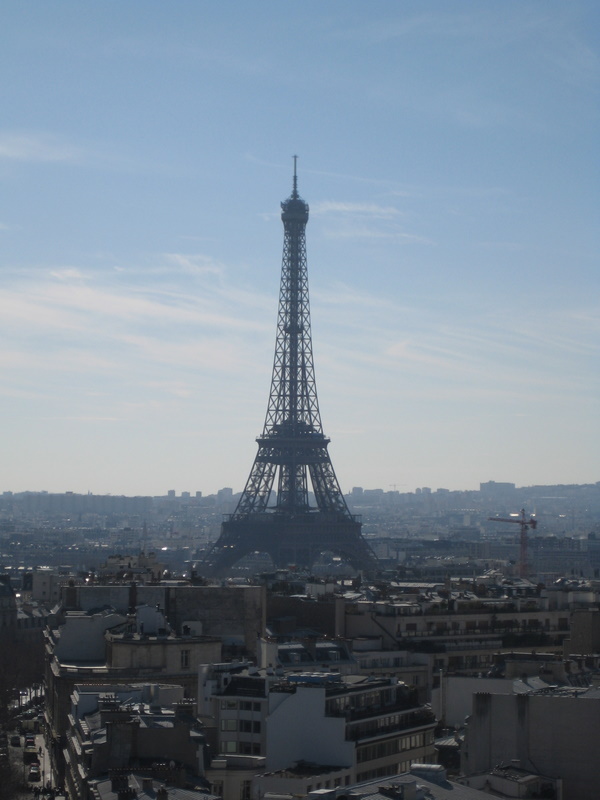 I hope you explored Laduree` and Louis Vuitton fully. 😉 I’m glad you had such an amazing weekend trip!